A recent study by researchers from the National University of Singapore (NUS) found that when it comes to making financial decisions under risk, older adults will regard the financial outcomes of others’ as their own and make choices that they would have selected for themselves. “Citizens in approximately one third of the countries around the world rely heavily on decisions made by older adults who may be government, business or community leaders. 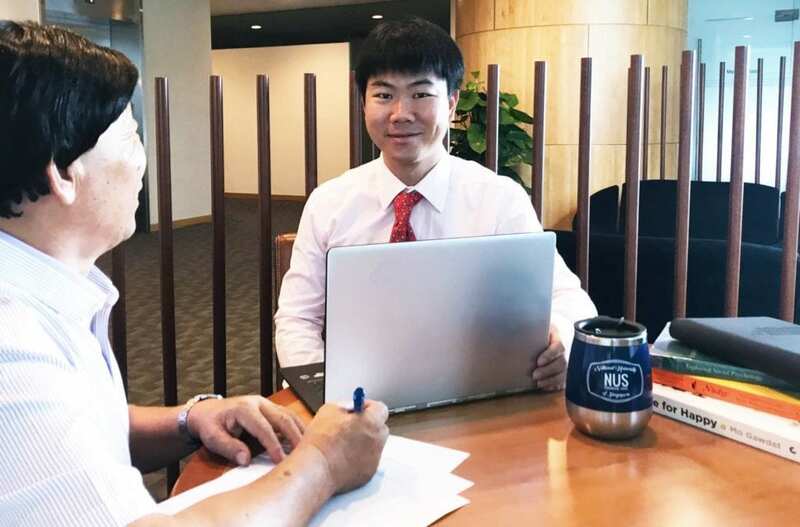 It is important to not only understand how these elderly people make decisions for themselves, but also how they make decisions on behalf of others, as their decisions can lead to significant gains or losses,” said team leader Assistant Professor Yu Rongjun, who is from the Department of Psychology at the NUS Faculty of Arts and Social Sciences. The results of this study were reported in the journal Psychology and Aging in September 2018. People often need to make financial choices for themselves, and sometimes, on behalf of others. Studies have shown that younger adults take more risks when making financial decisions for others. However, there is a lack of understanding about the decision-making behaviour of the elderly. To address this knowledge gap, Asst Prof Yu and his team conducted studies to compare how younger adults and older adults make financial decisions, both for themselves and for others. The NUS study was conducted from 2016 and 2017, and involved 191 Singaporean participants. Among them, 93 were older adults with an average age of 70, while 98 were young adults averaging 23 years old. The participants were asked to complete a series of computerised decision-making tests in which they were assessed based on the choices they made under uncertainties. The research team used computational modelling to analyse two aspects of the participants’ financial decision-making: loss aversion, which is a tendency to weight potential losses more strongly than potential gains; risk-aversion asymmetry, which looks at the tendency to be risk-averse for potential gains and risk-seeking for potential losses. The results show that when younger adults are making financial decisions on behalf of others, they take more risks even when the decisions put the person they are acting for at a disadvantage. For the seniors, they make similar choices for themselves and when they act for others. Hence, the findings suggest that older adults care more about strangers’ welfare. “Our results demonstrate that decision-makers of different age groups have different motivational goals. The young adults may treat the finances of others’ differently from their own, perhaps regarding them as being less important. On the other hand, the older generation may care more about social harmony and emotional experience, and have less emphasis on material gains,” explained Asst Prof Yu. To deepen their understanding on the financial decision-making process of people from different age groups, Asst Prof Yu and his team will be conducting neuroimaging studies to examine the underlying neural basis of their observations.